The Centre hosted its first class of Data Fellows in The Hague this June and July. As the Fellows wrap-up their work in data science, predictive analytics, data storytelling and user experience research, we look back at key moments in the programme. In Part II, we take account of lessons learned and explore how we may adapt the programme for year two. The Centre’s Data Fellows Programme is designed to expose our team and partners to new areas of data-related expertise that can impact humanitarian response and advance the goals of the Centre. In selecting the inaugural class of Fellows, we were looking for people with deep technical expertise and a passion for doing mission-driven work. This was no small task, as over 700 talented individuals applied for the programme, far exceeding our expectations and creating a lot of excitement around this new initiative. Abdulaziz Al-Homaid, Data Science Fellow. Abdulaziz focused on data about education in emergencies. He developed an approach and a technical tool to review education datasets and generate simple analytics to show what data is available and missing across crises and organisations. Haoyun Su, Data Storytelling Fellow. Haoyun focused on different approaches to data storytelling in the humanitarian sector. She developed two data stories about the experience of internally displaced persons (IDPs), including a global overview of displacement trends and the journey taken by a South Sudanese family to flee violence and find refuge. Laith Ulaby, User Experience Research Fellow. Laith worked to understand how users in different roles and locations experience the Humanitarian Data Exchange (HDX) platform. His research generated a wealth of insights and recommendations on ways to optimize HDX for different audiences. Manu Singh, Predictive Analytics Fellow. Manu explored how predictive analytics might inform humanitarian financing decisions, with a focus on Somalia. She developed a model to predict OCHA-managed pooled fund allocations in the context of food insecurity with a view to prevent famine. The Fellows brought an impressive breadth and depth of expertise, as well as a readiness to learn and explore how best to apply their skills in the humanitarian sector. As their final projects attest, they accomplished a great deal in a very short amount of time, while also helping us to see some trenchant, complex problems with fresh eyes. In the coming months, we will share blogs from each of the Fellows describing their projects in detail. One of the most common challenges in the humanitarian technology and data space today is the proliferation of solutions in search of problems. The promise of new technologies can lead humanitarian organisations to develop projects or services that don’t respond to a real problem or need, rather than identifying problems worth solving and then exploring how technology and data may help to address them. Determined to avoid this disconnect, we had the Fellows spend their first two weeks identifying, researching, and framing a problem statement around a data-related challenge facing OCHA and the broader humanitarian community. The Fellows engaged in conversations with the Centre team and various partners, did a lot of reading, and got a healthy dose of feeling overwhelmed by the scale and complexity of the humanitarian system. 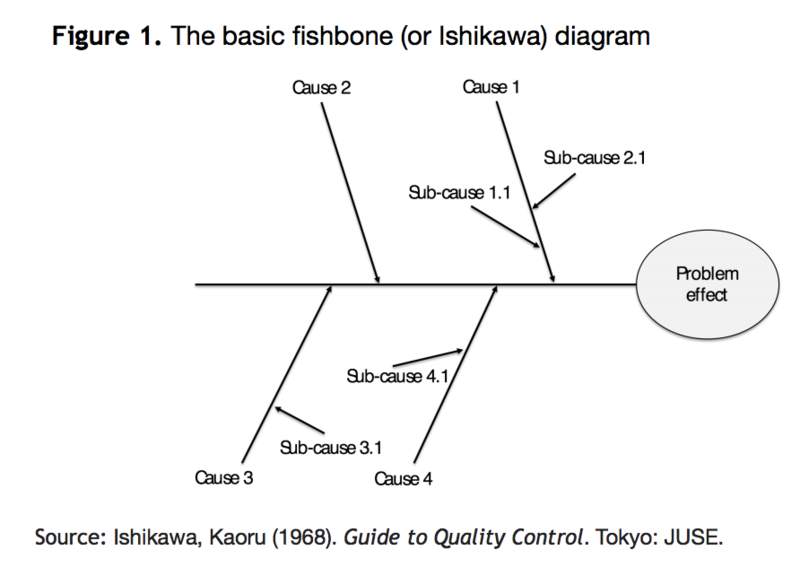 Given the duration of the Fellowship and the complexity of the initial problems that the Fellows identified, we focused their attention on smaller parts or root causes of these problems using the Ishikawa or ‘fishbone’ model (pictured below). By unpacking their overall problem statements or ‘problem effects’, the Fellows were able to identify causes and sub-causes that were more concrete and ripe for resolution. Here’s one example of a diagram, completed by our Data Science Fellow, Aziz. Aziz looked at why humanitarian responders do not consistently access HDX for data related to education. He identified a multitude of root causes as represented in his fishbone diagram above. Armed with this more detailed understanding, Aziz (just like the other Fellows) proceeded to zero-in on a specific set of causes that he then worked to address throughout the rest of his Fellowship. Do Something, Learn something, Repeat. As the Fellows reached peak problem framing, we shifted to the much-anticipated stage of the programme: developing and prototyping solutions. At this stage, the Fellows relied on their area of technical expertise, whether that was Manu thinking about the type of predictive model that would work with financial data or Laith determining how best to engage with HDX users. What followed was a lot of discussion with clients or stakeholders to get feedback and further develop their solutions. During week three, Dan McClure, a specialist in complex systems innovation, facilitated a session on iteration and learning to help the Fellows do systematic creative concepting. Dan guided the Fellows through a series of questions designed to yield a weekly iteration and learning plan for their projects. Who cares about this problem and who benefits from it being solved? What does success look like, and how can you measure it? What can you do to test progress in one-week cycles? What will you do, what will you learn, and where will this help you adjust your approach moving forward each week for the next five weeks? What is the single biggest risk to your project, and how can you work to mitigate this as soon as possible? For the remaining weeks of the Fellowship, the iterative loops of doing and learning played-out in different ways for each of the Fellows, but the practice of learning-by-doing resonated with the entire class. Looking back on the past eight weeks, I’m inspired by the drive and focus of the Fellows and enjoyed being part of the ups and downs of their creative process. I’m excited for them to share their work with our community. On 26 July in The Hague, the Centre will host an event to showcase the results of their projects. In Part II of this blog, I will reflect on lessons learned, share feedback from the Fellows on their time at the Centre, and look ahead to the next iteration of the programme. For more information about the Data Fellows Programme, contact the Centre team at centrehumdata@un.org. We plan to advertise for the next class in early 2019. Sign up to our mailing list and follow us on Twitter @humdata for the announcement. 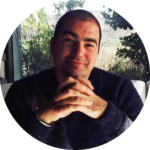 Don’t miss Part II of his summary posts to learn more about the programme from Senior Data Fellow Stuart Campo. You can also read the blogs by the 2018 Data Fellows, including their work on data science, data storytelling, predictive analytics and user experience research. Plus, watch the Data Fellows summary video here.